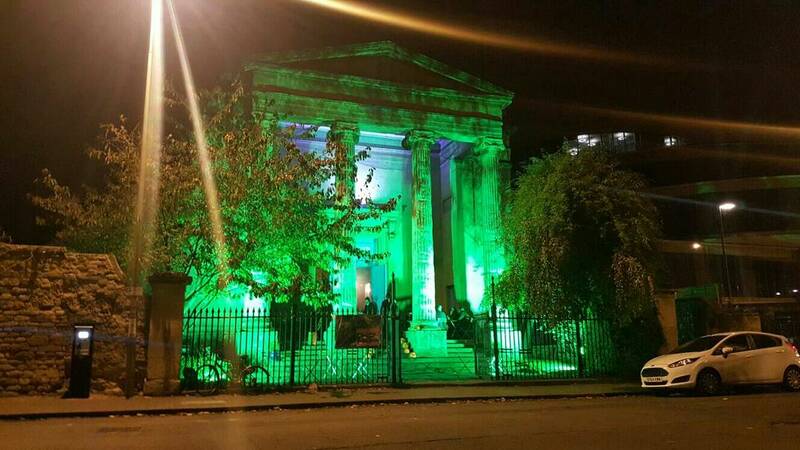 Light up the exterior of your venue to help create a dramatic look that will give a great first impression. 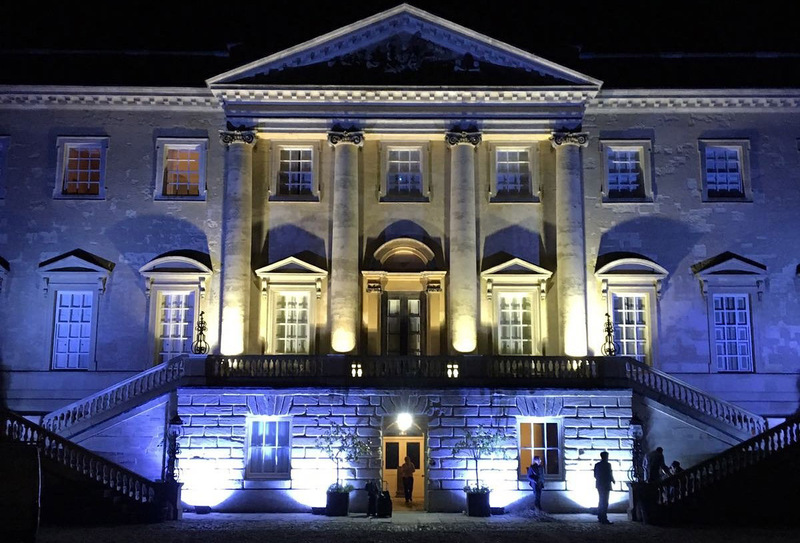 From illuminating the exterior of your venue to festoon lighting, fairy lights and sky tracking spotlights, we can help add glamour to any event. 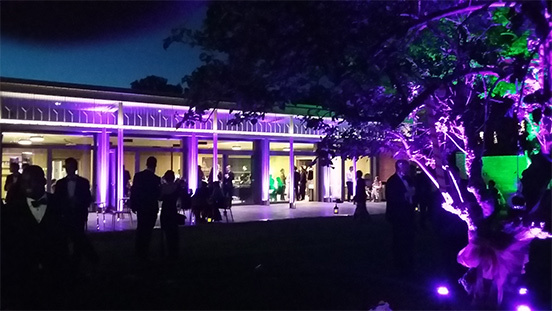 Let us apply a colour wash to the front of your venue to match your theme or how about lighting up the trees around your venue with up-lights? With over 20 years’ experience we’ll be happy to provide you with a professional exterior lighting service that delivers stunning results. 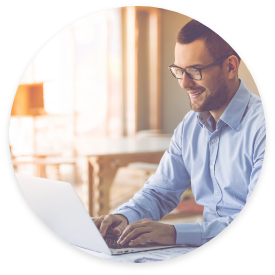 We’ve worked with hundreds of venues over the years and understand that there are usually environmental, public safety and security considerations that may affect what lighting choices are available. At Core Event hire we’re happy to speak directly with your venue and put together an outdoor lighting plan that delivers what you want. Listed below are some of the outdoor lighting options available to our customers. 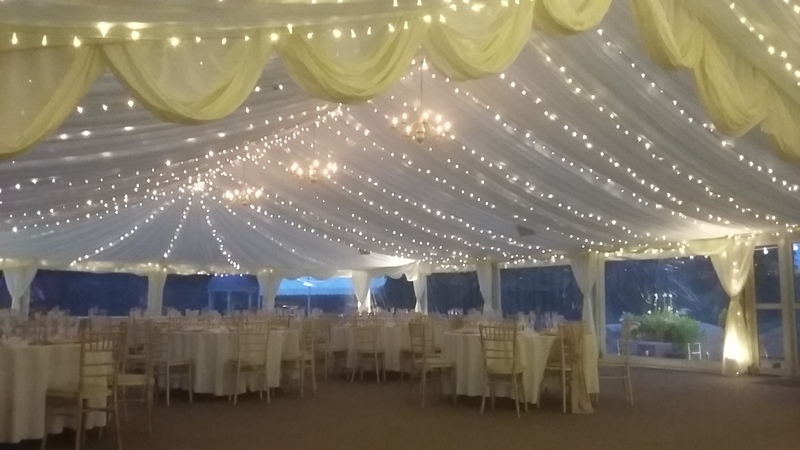 A great choice for weddings and small events our fairy light canopies help to create soft lighting that is perfect for use either in a marquee or outside in a garden under the stars. 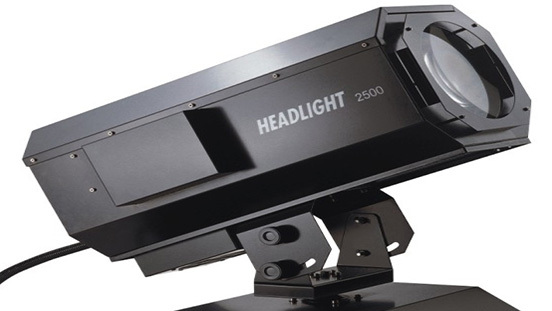 From single searchlights that light up the night sky to multiple lights that rotate, change colour and dance around, our range of sky tracker searchlights will help your venue stand out and can be seen from miles around. 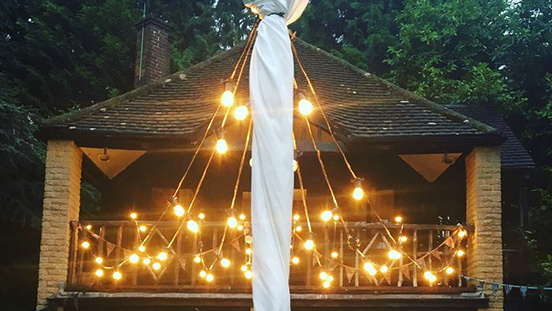 A great choice for a rustic venue choice and an increasingly popular option with modern brides and grooms, our festoon lights are a great soft lighting choice and suitable for all types of venues. 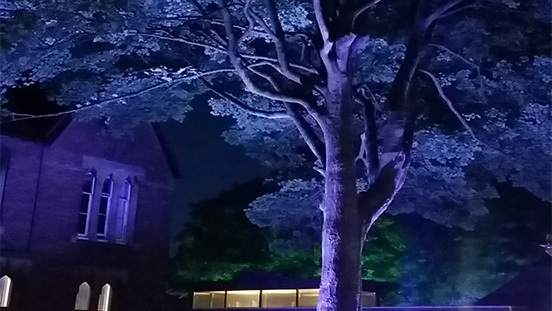 From festoons and fairy lights to up lights and LED, we’ve got a range of lights for hire that are suitable for illuminating trees outside your venue. If you are looking to hire outdoor lights for your event then get in touch with Core Event Hire today on 01865 580 406 for a free quote.